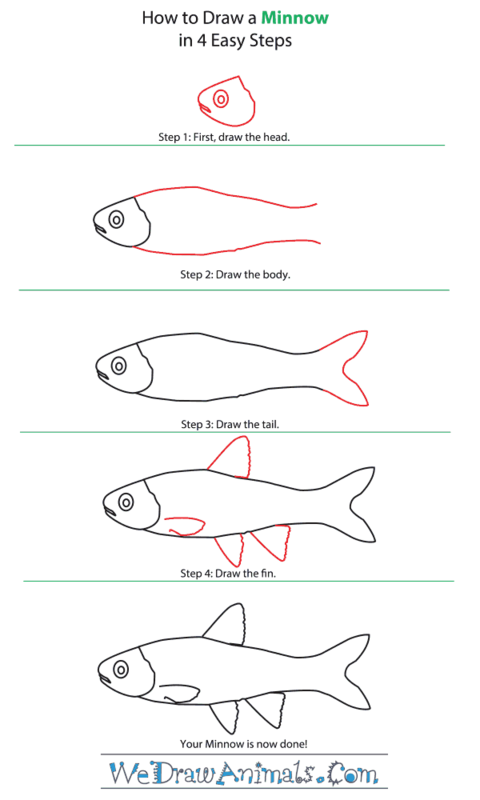 In this quick tutorial you'll learn how to draw a Minnow in 4 easy steps - great for kids and novice artists. 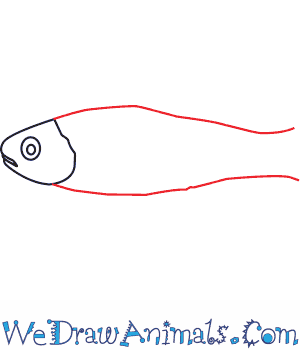 At the bottom you can read some interesting facts about the Minnow. Step 1: Start by drawing the face and eye. Draw the outline of the head and make a circle with a smaller circle inside of it for the eye. Step 4: To finish draw four fins, one near the head, one on top, and two underneath. Make the lines straight on the side of the fin nearest to the head and jagged on the side facing the tail. 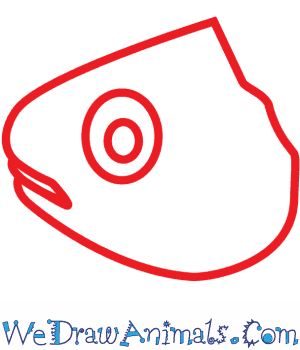 This makes the fish look wild. The Minnow is a member of the fish family and the scientific term for them is Phoxinus phoxinus. Other common names for this species are the Eurasian Minnow and the Common Minnow. 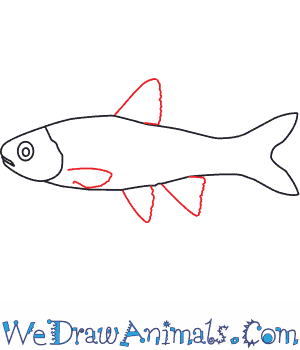 This species lives in fresh water and is a member of the Carp family. The Minnow only swim in a group. They are found almost everywhere in Europe and Asia, except for rarely in Germany where they are protected. The species can grow to almost 4 inches long. They can survive in captivity with less than .5 inches of gravel for the bottom of their container. This creature lives in water no colder than 54 degrees Fahrenheit. They live in water no warmer than 68 degrees Fahrenheit. The herding habit of this species helps them avoid predators, and if one of them is injured, then they release a warning chemical to the other fish. When the others smell the chemical, they swim closer together. Some of them will swim toward the predator, to find out how dangerous they are. These animals are dark in color and white on the bottom. There are not many of these creatures, but they are the least concern for a possibility of extinction.